Super Bowl XXXVIII- Patriots 32 Panthers 29: Best ever played! We had a 0-0 defensive slugfest going when Tom Brady and Jake Delhomme gave us a preview of the 4th quarter each throwing TD passes for a 14-10 halftime score. Then the defenses were getting ripped apart as each team scored three times in the highest scoring quarter in Super Bowl history with 37 points. Five TDs in the 4th quarter?? This was epic! In Carolina’s case it was 3 TDs which included a record 85 yard TD from Delhomme to Muhsin Muhammad. Brady set record for completions with 32 of 47 for 354 yards and 3 TDs for the game with Delhomme 16 of 32 for 323 yards 3TDs and get this, a higher QB ranking. Adam Vinatieri won it with a last second field goal but this one took your breath away. 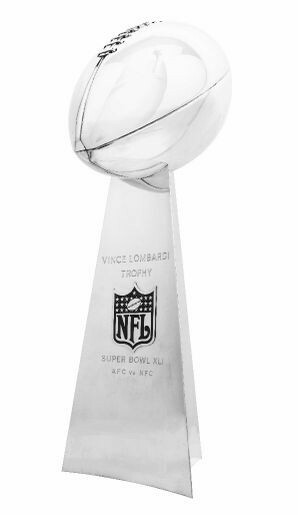 Super Bowl XXXII-Broncos 31 Packers 24: Remembered for John Elway finally becoming a champion came in one of the hardest hitting Super Bowls of all time. Terrell Davis rushed for 157 yards and 3TDs in an MVP performance while Dorsey Levens ran for 90 yards for Green Bay. Brett Favre kept firing back and threw for 3 TDs and the game came down to its final play. Super Bowl XLIII- Steelers 27 Cardinals 24: Cardinals in the Super Bowl? Oh, sorry about that. This game had wild swings of momentum and the best finish ever. Once Arizona figured out how to move the ball on Pittsburgh’s #1 ranked defense, they were poised to take a 14-10 lead when James Harrison intercepted Kurt Warner and rumbled 100 yards for a TD on the last play of the first half. Steelers 17-7 was the 14 point swing here. Larry Fitzgerald got hot, catching 7 for 147 and 2TDs including a 64yarder to give the Cardinals their first lead with 3:24 left in the game. Then Roethlisberger and Santonio Holmes answered for the Steelers with a drive and then touchdow for the ages. Holmes back of the endzone toe tap catch with :10 left was the best game winner ever. Super Bowl XXV- Giants 20 Bills 19: The drama came down to a final missed field goal, but the escapism this game provided the country at the outbreak of the Gulf War was tremendous. Contrasting styles of the methodical, plodding Giants and the K-Gun flash of Buffalo made it interesting also. New York played keep away by possessing the ball for over 40 minutes. Super Bowl XIV- Steelers 31 Rams 19: You have to admit when you were watching this game it was like the Steelers couldn’t make the Rams go away. Backup Vince Ferragamo and the Rams stood toe to toe with the defending champions and wouldn’t flinch. Halfback option passes for touchdowns, 10 plays of 20 or more yards including 5 plays of 39 or more. This game had 1 tie and 7 lead changes! Terry Bradshaw shook off 3 interceptions and took a 4th quarter lead with a 73 yard TD to John Stallworth, then came back to him for a 45 yard gain to set up the last touchdown. The latter came after the Rams were driving to retake the lead and Lambert picked off Ferragamo inside his own 20. Super Bowl XXIII- 49ers 20 Bengals 16: Best showcase of safeties in a game of defense. David Fulcher of Cincinnati and Ronnie Lott of the 49ers were all over the place with Fulcher playing the better game. With a sack, a forced fumble, a touchdown saving tackle at the 2 which resulted in a missed field goal, and 7 tackles at or near the line of scrimmage. Fulcher was the game’s MVP had it not been for Jerry Rice’s heroics. After losing Tim Krumrie to a broken leg the Bengal defense put in a Herculean effort to hold back the 49ers but Joe Cool prevailed again. Montana threw for 357 yards and led the famous 92 yard TD drive in the waning seconds to win it. What would have happened had Lewis Billups not dropped that interception in the 4th quarter? 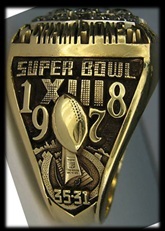 Super Bowl XIII- Steelers 35 Cowboys 31: The battle of champions with the winner to be crowned Team of the Decade for the 1970s and the first Super Bowl to conclude in prime time. This time Dallas was the defending champion and we had the highest scoring first half in Super Bowl history with 35 points (Steelers 21-14 lead), longest TD with Stallworth’s 75 yard TD from Terry Bradshaw, surprise defensive TD with Hollywood Henderson and Mike Hegman. 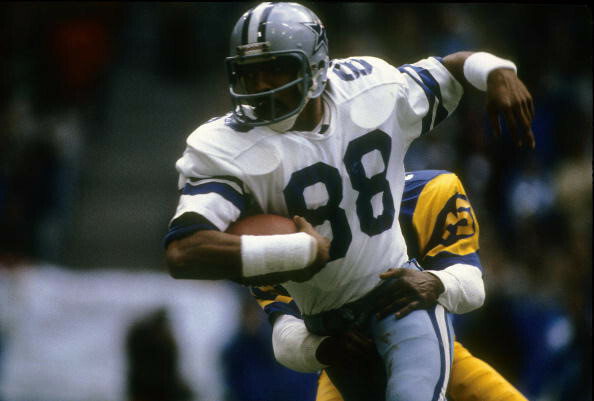 The famous dropped TD pass of Jackie Smith was a signature play but the Cowboys started to really move the ball on Pittsburgh in the 4th scoring two late TDs. It was Bradshaw’s first 300 yard passing game and both Lynn Swann and John Stallworth were the first tandem to go over 100 yards in the same Super Bowl. Game had everything and I haven’t talked about Staubach, Dorsett, Tony Hill or Franco Harris yet. Super Bowl XXXIV- Rams 23 Titans 16: Kurt Warner and the Greatest Show on Turf with Marshall Faulk were on the edge of blowing out the Titans, but couldn’t do it. The scrappy Titan defense kept forcing them to try field goals instead of the accustomed “Bob and Weave” TD celebration. The late Steve McNair and Eddie George finally got going in the second half and in a game of the tortoise and the hare started their methodical comeback. Dominated the second half in points and time of possession, rallied to tie it at 16-16. Yet MVP Warner then threw a 73 yard TD to Isaac Bruce to take a lead that would come down to the frantic last Titan drive. 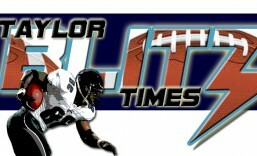 The imge of Kevin Dyson stretching for that last yard being tackled by Mike Jones is burned into the memory. 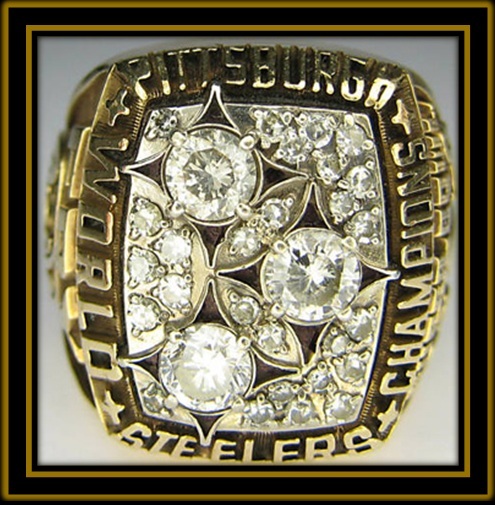 Super Bowl X- Steelers 21 Cowboys 17: The best of the first ten Super Bowls by far. All except with that “Up With People” halftime show…yikes!! “Hollywood Henderson” , a linebacker on a reverse with the opening kickoff?? Almost broke it too had Roy Gerela not made the tackle and bruised his ribs. Doomsday shut down Franco Harris, yet couldn’t stop MVP Lynn Swann whose 4 catches for 161 yards and a 4th quarter TD. The Steelers kept missing field goals and the game remained close. The defenses held the offenses in check but Roger Staubach was able to hit Drew Pearson on the first TD allowed by the Steelers for the entire 1975 season. The Steelers sacked him seven times but Roger kept firing until the bitter end. Pittsburgh gave the ball to the Cowboys on downs allowing 3 shots from midfield for the win. The final pass intercepted by Glen Edwards as time expired. Super Bowl V- Colts 16 Cowboys 13: This game had to be fun to watch. It was like a drunk on rollerskates. Eleven turnovers, Johnny Unitas knocked from the game. Duane Thomas fumbled at the goal line when Dallas could have taken a commanding lead. Johnny Unitas’ 75 yard touchdown to John Mackey bounced off two other players. A 4th quarter come from behind victory by the Baltimore Colts based off of interceptions by “Mad Dog” Mike Curtis and Rick Volk setting up the Colts in Cowboy territory for a Tom Nowatzke TD and last second field goal by Jim O’Brien. How could anyone have watched this game and had a clue who would win. LOL Now get this for the last bit of humor; Chuck Howley, Cowboys linebacker wins the MVP and was on the losing side of the ledger and wouldn’t accept the award. Bubba Smith, Colts defensive end refuses to wear the ring, and Bill Curry who played center said he looks upon his ring with “mixed feelings”. Laughably sloppy… one day I’ll sit down and watch it since I was one at the time.